Figure 1. Three Black Crows pattern. The Three Black Crows is a three-line bearish reversal candlestick pattern. The first line appears in an uptrend, and two other lines are opening below the prior candle's opening price but above the prior candle's closing price. It is allowed that the second or the third candle's opening price is equal to the previous candle's opening price. Historically the pattern had more conditions, for example, that the following candle should open at least halfway down the previous candle. Another requirement in the past was that the candles should have a very short lower shadows. Nowadays such constraints are rejected by most of the traders. Three black candles appearing as long lines, each closing at a new low, indicate well the market sentiment. The Three Black Crows is often forming a resistance zone. It happens, however, that three black candles are not breaking the nearest support zone and price moves sideways. Often the pattern is preceded by reversal patterns, for example Bullish Engulfing, Evening Star, Northern Doji and others. Location of the pattern on the chart may be essential. If the first line breaks a trendline, price declines can be deep. Especially when there are no significant support areas nearby. The Three Black Crows pattern is canceled when it is followed by candles which closing price is above the first line opening price. Figure 2. 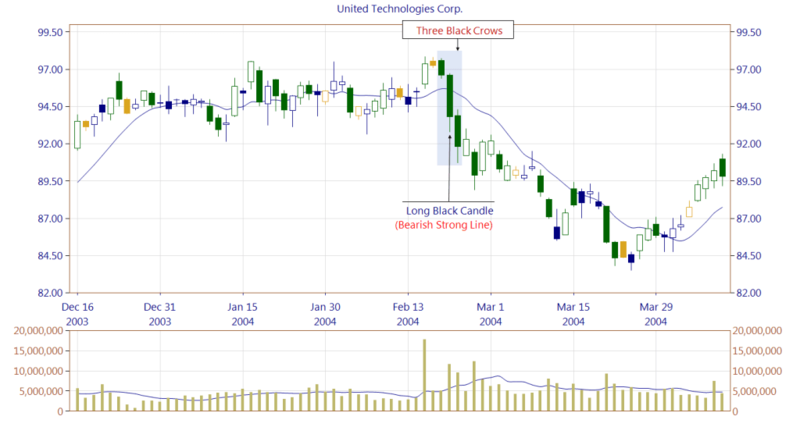 A Three Black Crows candlestick pattern appears in a strong uptrend. The first line of the pattern is the second line of a Bearish Engulfing. A significant price decrease characterizes every appearance of the Three Black Crows pattern. In a bear market, the pattern is likely to be followed by additional declines. In a bull market, the bulls may be battling with the bears for a while. The Three Black Crows is composed of three black candles, except the doji and the spinning tops. Additionally candles need to appear as long lines. You can see that the stock moved sideways for around two weeks time before price continued moving down. In the case of this pattern price often moves sideways because it forms a resistance zone. Figure 3. 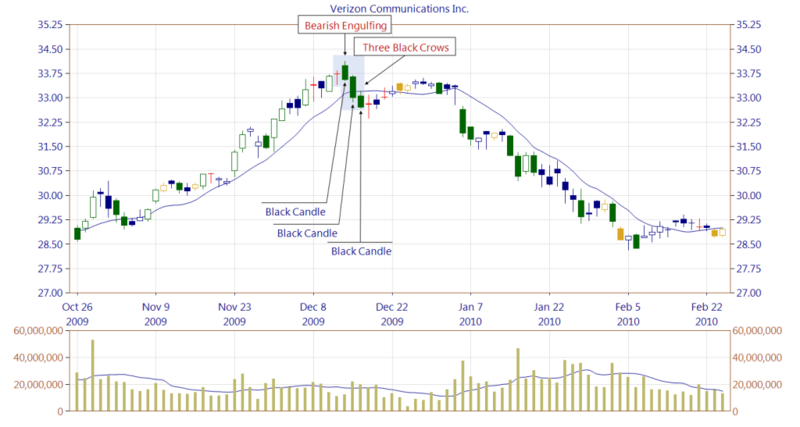 A Three Black Crows candle pattern is preceded by a price moving sideways. Its second line is classified as a Long Black Candle (basic candle), being at the same time considered as a Bearish Strong Line pattern. Additionally the candle is formed at a high trading volume and breaks the trendline which indicates its strong bearish sentiment. The bulls tried to gain control but failed because were not able to close above the opening price of the third line. 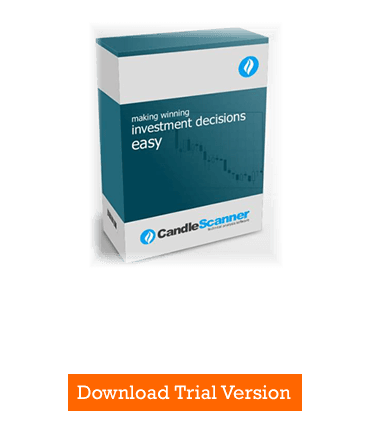 Below you can find some Three Black Crows pattern statistics calculated by CandleScanner software.